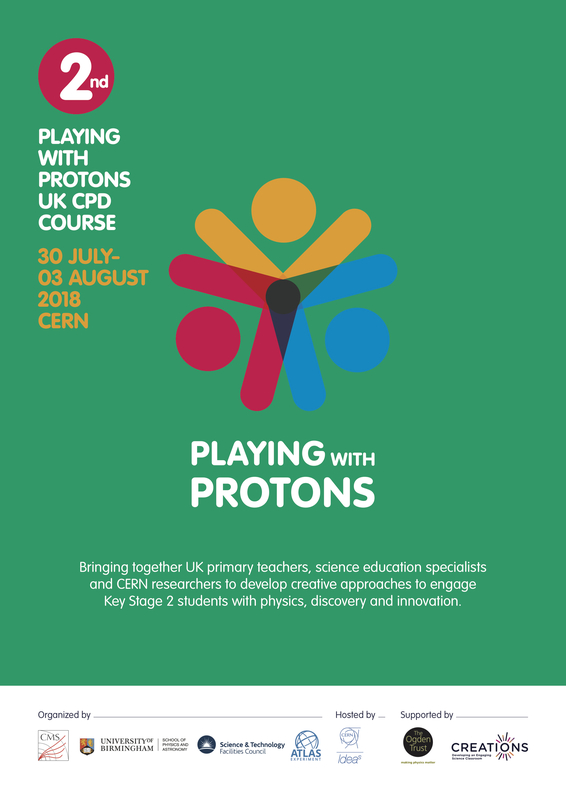 This is a community by UK primary teachers of the Playing with Protons programme at CERN. In here you will find learning resources such as educational scenarios and lesson plans but also school initiatives and more on primary science education. All this has been developed by the CREATIONS team and most importantly by the teachers themselves who, together with you, constitute an ever-growing community of passionate, innovative and creative primary science educators. You are also encouraged to get involved with our parent CREATIONS community in which you can discover creative approaches based on the arts for an engaging science classroom that have been developed by 16 partners from 10 European countries. 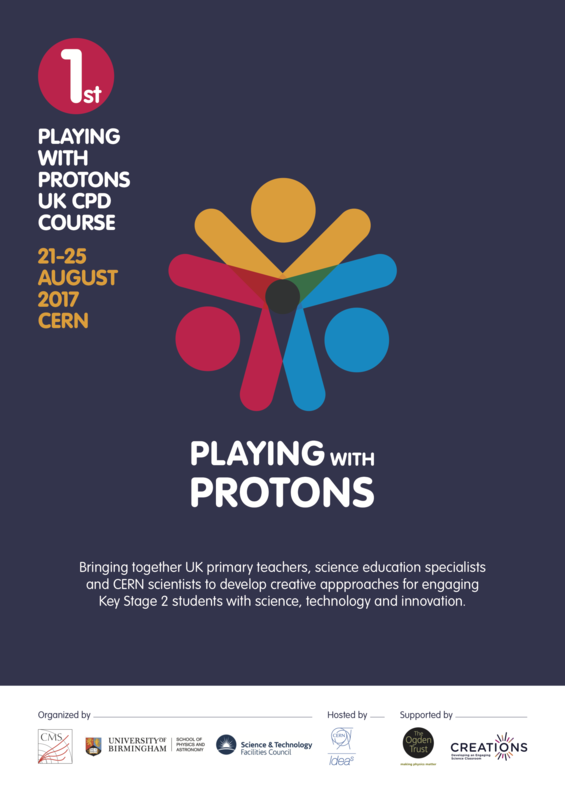 Playing with Protons is an education initiative led by the CMS Experiment at CERN that brings together primary school teachers, science education specialists and CERN researchers to develop creative approaches to helping primary students engage effectively in physics, discovery and innovation. Stay tuned for news and updates on Facebook and Twitter. The 2nd CPD course for primary school teachers from the UK will take place at CERN from 30 July to 03 August 2018. The course included lectures by CERN and other scientists, hands-on workshops, visits to experimental facilities, study groups and Q&A sessions. The agenda of the course (currently under development) can be found here. The 1st CPD course for primary school teachers from the UK took place at CERN from 21 to 25 August 2017. The course included lectures by CERN and other scientists, hands-on workshops, visits to experimental facilities, study groups and Q&A sessions. The agenda of the course can be found here.